« There is no church of atheism – What does atheism mean? – With the help of Sam Harris! I too disagree with threats of violence. They solve nothing and simply create more tension. Please view my blog for examples, points of reference and evidence regarding the views of Pat Condell. Condell has a right to an opinion. And a right to free speech, and I would defend both of these rights for him. But when you take Islam out of context, misread and misinterpret or just plain misunderstand, and hold up Saudi Arabia as some sort of model Islamic state (no, it isn’t! ), then you are clearly displaying a narrow understanding of Islam. The fact that you have an entire blog about Pat Condell is a little beyond belief! It is funny that you spend so much time having a go at Pat Condell and at least from what I have read, you NEVER take the points he is saying, explain why they are wrong and give evidence. I read the latest 7 posts and although I agree with your idea that Condell like the rest of us is allowed free speech, you still have not told me WHY he is wrong! You agree with the need for dialogue then create some, where are your arguments against the things he is saying? Argue not against the Man, argue against the things he says as that will result in me understanding your objections a little better. I look forward to your posts..
I’ve just come back to view this, and I’m honestly aghast that you said this. I’ve debunked multiple Condell points from a rational point of view. This post alone has 5 bullet pointed, rational reasons why Condell is wrong. I’ve not been arguing against him, I’ve argued against the factual errors he makes and the inconsistencies he demonstrates across his videos. Do you not take the points that I make in that post and video, as being against the things he says, rather than the man he is? Your post on 30th June – about the BNP, ok! What has that got to do with Condell? 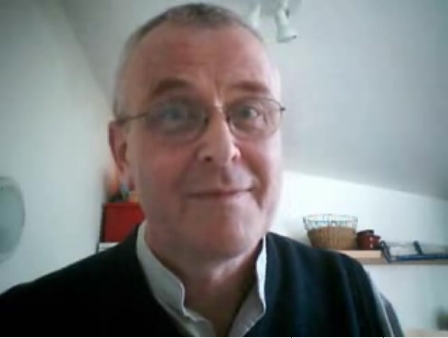 Your post on 19th May – you are talking about Pat Condell’s (so called) membership to the BNP, this does not address the issues he makes and if you don’t mind me saying you are simply attacking the man. I am not a friend of Condell, still I agree with some of the things he talks about and I am a liberal Democrat, where does this leave your argument? I in no way support the BNP party, still there is no honest way that you are able to tell if Condell does or not, so this is just a big assumption. 3rd May – you go on about gamers for some reason and then you talk about New Zealand, I am a little lost here! Your post 7th April – you said context is everything; I’ve read and listened to Condell’s point of view. WHERE IS YOURS? To me you don’t understand the things Condell is going on about, you are missing the whole point. Your post on the 7th April and 22nd are your best, It was perhaps the only attempt I can see of some serious discourse you just need to go further, you started to form an argument and you are making some good points. I will answer on your blog in due course.